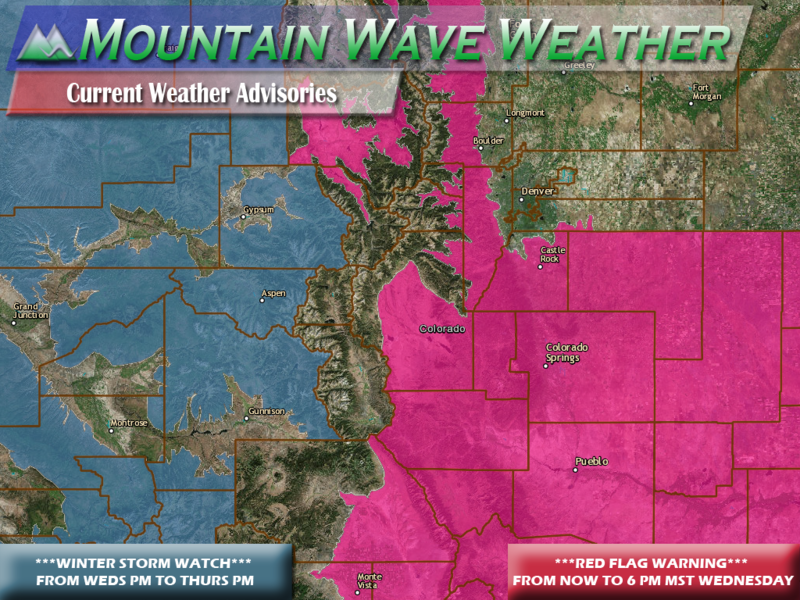 See real-time Weather Watches and Warnings for Castle Rock here! The forecast regarding Thursday’s storm remains largely on track from yesterday. There is still a bit of uncertainty on whether we actually get any snow to stick on the ground. 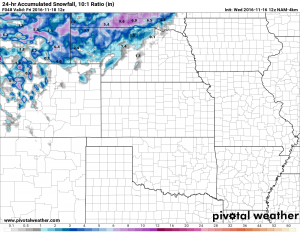 That is one issue the models are still battling it out on, ground temperatures may end up just too warm to promote any snow accumulation. 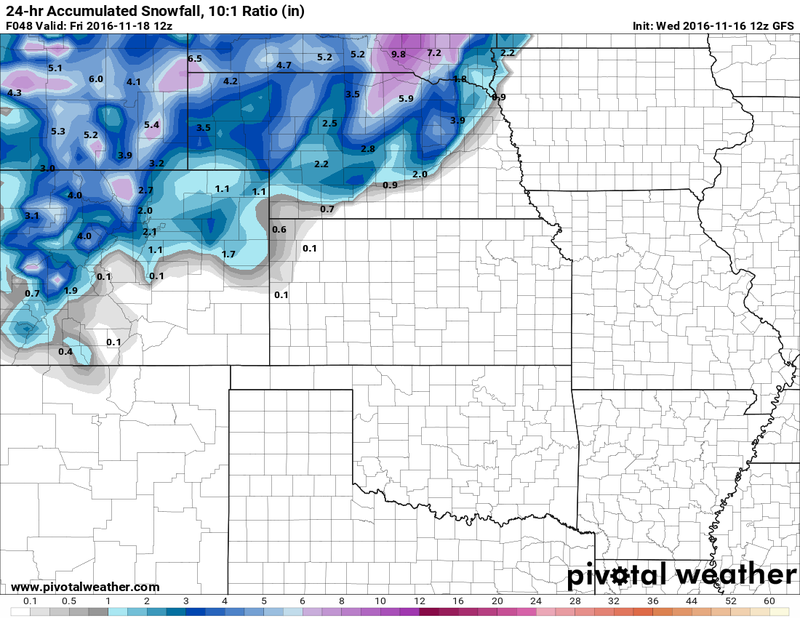 Snow begins by Thursday afternoon. Although snow may be falling, there is still a lot of uncertainty about whether any of it will accumulate on the ground. 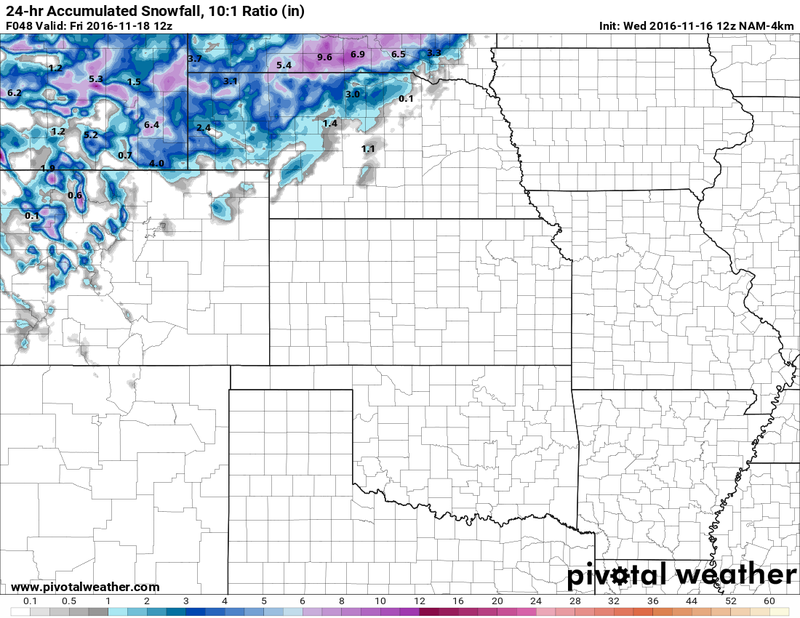 Probability that we see snowflakes falling at some point on Thursday is relatively high. Downsloping winds may kill our moisture if the low doesn’t set up just right though. 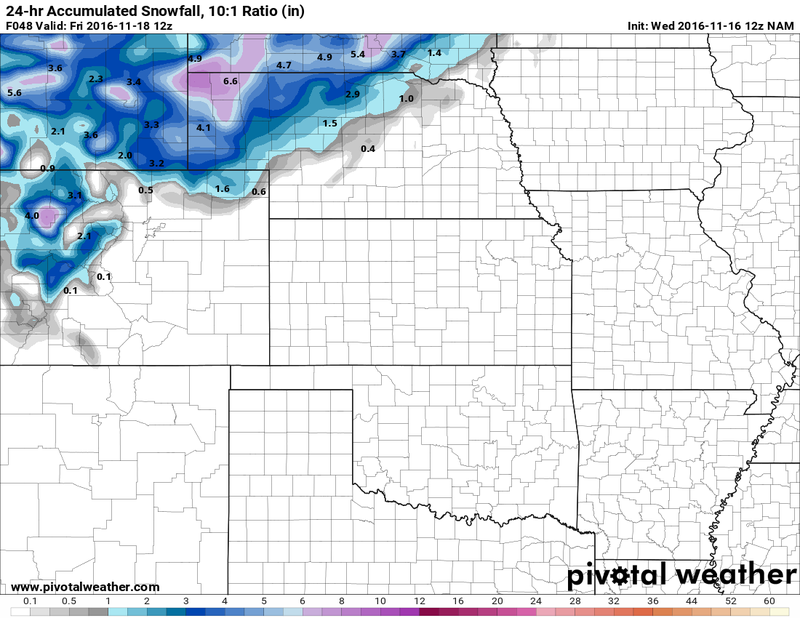 Snow accumulation on the ground is still highly uncertain with most models. The ground may simply be too warm to allow any snow to accumulate. We’ll watch this closely for changes. Expect clearing on Friday but a very chilly day with highs only in the upper 30’s to low 40’s. No snow is expected to linger on Friday during the day. 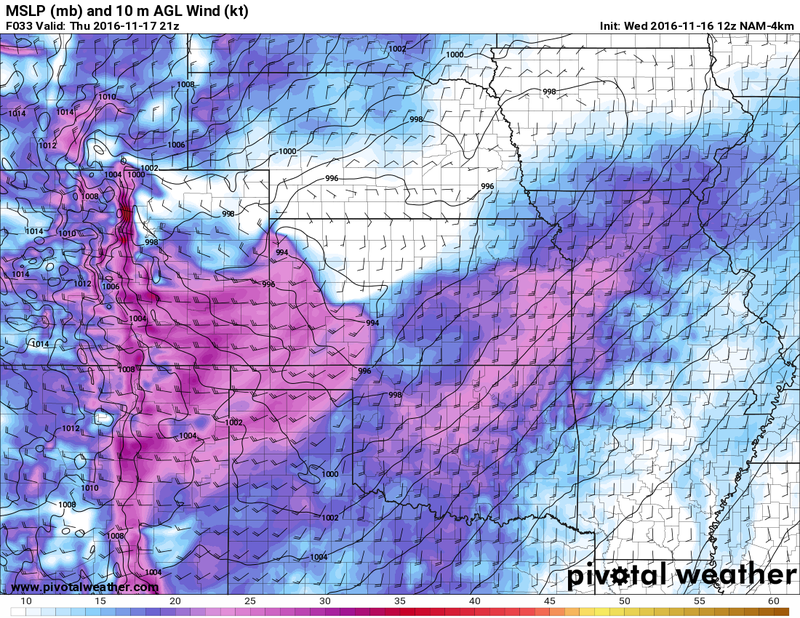 Many models are showing strong winds sustained around 25-35 knots ( about 30 to 40 miles per hour.) Some gusts could reach over 40mph throughout the day. That combined with the cold temperatures will make for some very cold windchills. Be prepared for it, I reccomend taking a jacket with you for the day on Thursday and definitely having some heavier gear ready for Friday morning. To wrap it all up, this system will not be powerful enough to dump a large amount of snow on the Castle Rock or Denver areas. 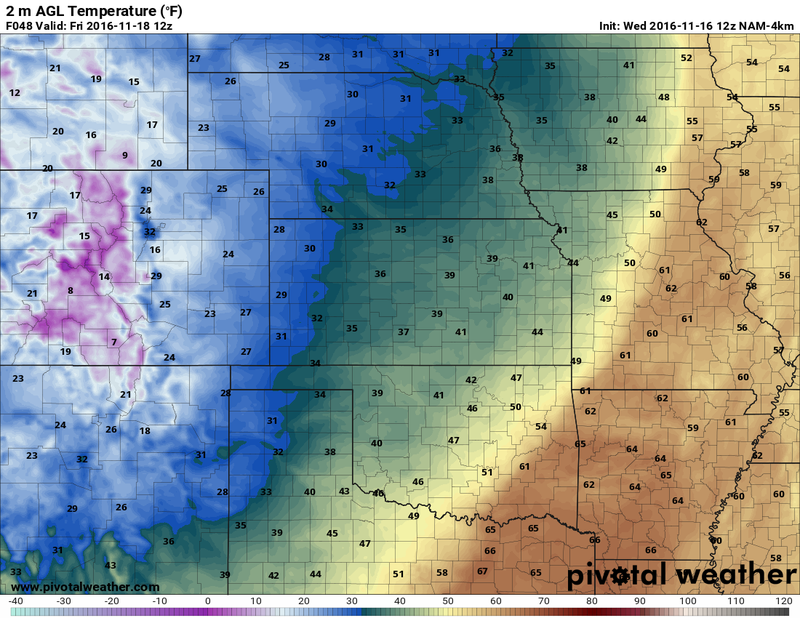 It will probably shock a few people though, the winds will be very strong on Thursday and the temperatures the coldest we’ve seen in some time on Friday morning. Stay tuned, we’ll pass along any updates or changes throughout the day today.